The KBS historical drama series "Dae Jo-young" ended Sunday after 134 episodes. Launched in September last year and running for 15 months, the hit drama commanded weekend ratings of over 30 percent. In a KBS/AGB Nielsen Media Research tally, ratings posted 36.8% for the 130th Dec. 9 episode. In the final episode Sunday, the portrayal of the Balhae kingdom gaining amity with China's Tang dynasty's impressed the viewers. 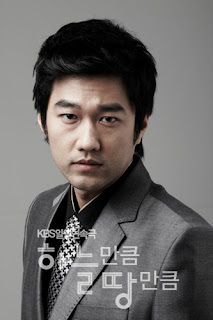 Many reportedly shed tears when Dae Jo-young (played by Choi Soo-jong) had to part ways with his son (Jeong Tae-woo). The episode recorded 33.3% viewer ratings (AGB Nielsen Media), 5.2% point higher than Saturday, in the successful conclusion. She was reportedly suffering from laryngitis when shooting a scene where she got soaking wet in the rain. Already exhausted from the tight filming schedule, Lee evidently could not withstand the chill and fatigue of the rain scene. Although the doctor advised her to be hospitalized, she left the hospital after an hour of rest so that the filming could resume. “Bad Love” is Lee’s first TV appearance after starring the medical drama “Surgeon Bong Dal-hee” earlier this year. The 20-part series also stars heartthrob Kwon Sang-woo as Lee’s love interest and airs every Monday and Tuesday on KBS2 TV. Rather than a high-profile success, Munhwa Broadcasting Company's recent drama "Taewangsasingi (The Four Guardian Gods of the King)" was nothing but trouble, the network's union claimed in a recent newsletter. 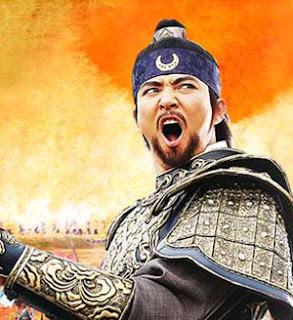 The union said that Bae Yong-jun, who played the leading role, was paid W6 billion (US$1=W924) to star in the series, or W250 million per episode, accounting for some 15 percent of the total production cost of W43 billion. Considering how much of the budget went to the actor, calling the show a "massive-scale" historical series was an exaggeration, the union said. Bae Yong-jun walks into a venue surrounded by bodyguards during a hand print making event for the Blue Dragon Film Awards in September. It also denounced the drama for tarnishing the network's reputation by causing programming troubles, citing as an example an incident when MBC had to prolong its live news broadcast for 20 minutes while the network waited for the latest video tape of the show to arrive. Due to the soaring salaries of television stars, broadcasters started outsourcing the production of dramas several years ago. But now production companies are paying enormous sums to cast top stars in order to secure high ratings, causing production costs to skyrocket. The criticism by the MBC union is evidence of changes in the status of the major networks as they endure embarrassments caused by high-profile actors or outside production companies. Suk Ji Soo is a kindhearted and thoughtful woman caring about the harmony of her family. Jeong Mu Young struggles through many troubles and forgivness within his family. He doesn't really like his father because he was born due to his father's affair with another woman. Ji Soo and Mu Young's family in this drama are complete opposites...her family is happy while his family is not. Eun Ha is a girl with a cheerful personality and perfect skin with no wrinkles. She thinks importantly of people's relationships and puts much effort into everything she does to make her family happy. The drama will be focusing on different family problems faced in modern day society. Lee Ji Ah, "'The Legend' is a turning point in my life"
An 'instant star' unprecedented in the history of the Korean entertainment industry was born: actress Lee Ji Ah of the recent series "The Legend." She instantly became the heroine in an epic drama series with a 60 billion won budget with no acting experience whatsoever. Positive reviews came out from around despite being amongst a cast of big names. With her bright image, she even was able to sign on to be the image models of various commercials. Lee Ji Ah who was shy and not able to look straight into the camera said, "I am still afraid of the camera." Rather contrasting from her tomboy image that links arms with 'Yon-sama' without hesitation in the series. "I am actually very shy among people. I'm not as valiant as Soojini. But I am similar to her in that I am straightforward and like to play. Poking the other person while starting a conversation and playing around in the drama is similar to my real self." "I still can't feel it being real. All throughout the shoot I was traveling around different sets, and afterwards I've been busy with interviews and commercial shoots so I never had the chance to see or feel what the response is among the public. But my parents and other people around me have been telling me that they didn't know I would be able to accomplish such a thing." She was born in Korea but went over to the U.S. in elementary school, later to enter the Pasadena Art Center College of Design. While attending, she went to the audition for "The Legend" being introduced by an acquaintance. "I didn't exactly dream of being an actress since I was young. Of course I thought it was a very fascinating occupation. Being able to move people through the eyes and actions of an actor seemed truly fascinating to me." 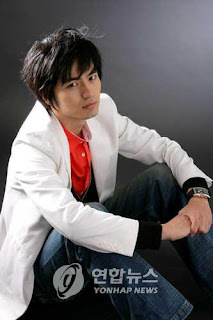 After first being introduced to producer Kim Jong Hak, her casting was determined after 30 or so additional meetings. It was after script reading and other thorough tests. "I was so happy I couldn't say anything to the people around me. I was afraid that the results would change later on. The position was much too greater than what I deserved but he said he liked my boldness and confidence." After being cast, she immediately started training in vocalization, acting, character analysis, horseback riding, action, and everything else that is needed to be an actor from the start. She learned how to speak like a tomboy rather than her usual soft-spoken tone and even changed her walking posture. "At first I was afraid of horses, but now I enjoy riding them. In the series, I was able to act out most of the scenes aside from the very dangerous ones. I even rode the horse myself in scenes where we are going full speed." However, in the series, she appeared throughout with an image that is hard to tell if she is a boy or girl. She even put on darker makeup to hide her light skin tone. Some actresses may the situation find it rather disappointing. "After I ate, the area around my mouth became white. Since I had dark makeup on, only the makeup around my mouth came off. But I liked the bright characteristic of Soojini." There weren't even any true melo-dramatic scenes. "Can you imagine Soojini kissing? I don't feel disappointed that there wasn't such a scene. There was a scene where Soojini puts armor on Damdeok before she leaves, but I think there was enough of the emotion expressed in that scene. The scene is one of my most memorable, too." She even was exposed to the possibility of many injuries. Her legs were kicked by a horse she couldn't avoid. "I was speaking to another actor and should have avoided the horse when it came towards me, but I couldn't. My left shin that was hit was swollen. I could have been hurt greatly." To her, there is another hurdle she must overcome other than injuries and acting. Co-star Bae Yong Joon. It must not have been easy to act opposite one of Asia's greatest star. "I lacked in many ways. I did not have enough experience. On the other hand, Bae Yong Joon took care of many subtle things despite his status as a top star. I really felt his professionalism. He taught me many things about acting as well." She also said the cold weather was one of the hardest things while filming. Additionally, "As this was my first time acting, I got confused within myself after hearing the many advices from senior actors. I regret not being able to absorb everything faster." Choosing Cate Blanchett as her favorite actress because of her deep and wide acting spectrum, Lee Ji Ah says, "'The Legend' is a turning point in my life. I was able to learn many great things from great senior actors." Lee Jin Wook and So Yi Hyun cast in MBC series "Before and After: Plastic Surgery Clinic"
Lee Jin Wook, So Yi Hyun and others have been cast for the lead roles of the upcoming MBC drama series "Before and After: Plastic Surgery Clinic." This series will start airing on January 6th. Lee Jin Wook will play the young clinic owner Han Geon Soo who tries to protect the clinic from being taken over by loan sharks. He tries his best to save the clinic when uncollected loans are passed on to him after his father's sudden death, but cannot even hold a mes because of a medical accident. 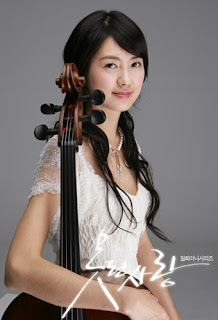 So Yi Hyun will play the nurse Yoon Ki Nam who forms a love triangle with the two. Jung Ae Yeon will play the manager Yoon Seo Jin who has perfect beauty through plastic surgery. TV drama “Thank You” was honored with the 10th Special Media Award from Amnesty International. Starring Jang Hyuk and Gong Hyo-jin, the heart-warming drama was recognized for its frank, yet sensitive portrayal of a young AIDS patient and her family and friends. An Amnesty International official said that “Thank You” was chosen because it dealt with a touchy subject that had not been broached in other TV dramas and taught the audience to respect AIDS patients and other underprivileged members of our society. “Thank You” was Jang Hyuk’s first TV starring role following his controversial two-year military service. Jang fulfilled his military duty after being blasted for dodging draft by bribing military officials. His return to the TV screen proved to be successful, as he played a doctor who takes care of the young girl with AIDS and eventually falls in love with her single mother. 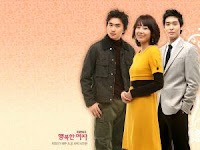 The drama, entitled "Bad Love," recorded domestic viewer ratings of just 6.1 percent on Dec. 3, when its pilot episode aired. But its exports to Japan and Taiwan have been anything but sluggish, posting export revenues of three billion won in Japan alone. In fact, "Bad Love" and the epic drama "The Four Guardian Gods of the King," starring actor Bae Yong-jun have been paving the way for a revival of the hallyu boom. A person from the production crew of "Bad Love" said Asian fans have been looking forward to Kwon's acting after his long hiatus and that some 100 foreign fans visit the drama's filming sites every day. Actor Bae Yong Joon finished filming all scenes for the drama series "The Legend" on the 2nd and has been admitted to the hospital to treat his injury. 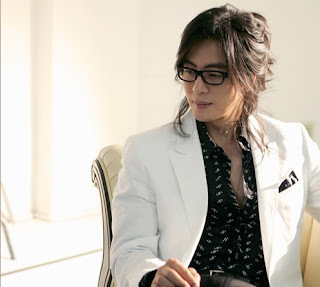 Bae Yong Joon's agency BOF says, "Bae Yong Joon who finished all filming on the 2nd at the Gyeonggi-do set admitted to a hospital in Seoul for a detailed examination and treatment. He was injured several times during the filming but has postponed treatment to complete the series." Bae Yong Joon had injured his index finger ligament at the end of October when hit by a prop sword during a fighting scene. Early last month, his neck and shoulder ligaments were injured severely when an actor during a wire action scene fell on top of him. Towards the middle of the month, Bae Yong Joon had also injured his knee while landing during another action scene. Bae Yong Joon ended up filming with a cast on his finger, then on painkillers in November. BOF added, "Bae Yong Joon especially did not want his fans to know about his knee injury so they would not be worried and participated in filming with crutches. He will be closely examined at the hospital for 3~4 days to determine how long he will need to be treated and recover, but it seems inevitable that he will be admitted to the hospital." "The Legend" finished all filming on the 2nd, and the final episode will be aired on the coming 5th.